LAUNCH is the Children’s ministry at Barfield Baptist Church. Proverbs 22:6 says “Start children off on the way they should go, and even when they are old they will not turn from it.” We realize the importance of raising kids in a positive Christ centered atmosphere so in the Launch ministry we “set a course for life” and strive to “Launch” them in the right direction in hopes that when they are older they will not turn from it. To view a calendar with specific upcoming events and opportunities for our Children CLICK HERE. Listed below are the individual components of this ministry with the description and meeting times of each. We hope to see you soon and we look forward to additional ministries being added to further the spiritual development of our children. 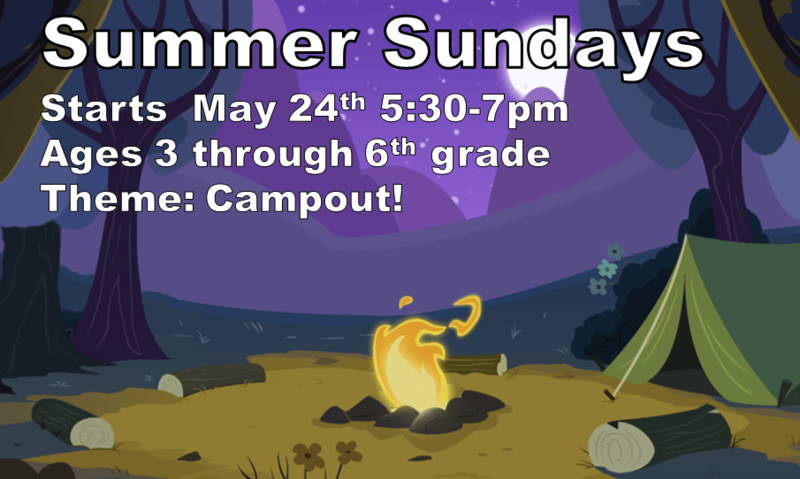 SUMMER SUNDAYS is a RISE Youth led program for our children through the summer months while AWANA is not in session. CHILDREN’S CHURCH/WEE CHURCH: Children’s church is available for kids ages 3 years through Kindergarten during the Sunday morning Service. Children begin the service in the main auditorium and after the congregational singing they have a short dedicated children’s time with someone in the front of the sanctuary. The conclusion of this is just the start of their day. They then exit the sanctuary to arrive in their classroom where they will worship the Lord through music, Bible stories, games and other activities using the Worship Kidstyle curriculum from Lifeway. NURSERY: Nursery care is provided for newborns up to the age of the 3. The nursery is located down a hallway in very near vicinity of the Auditorium. Parents will be provided pagers in case they may be needed during the service. Nursery is provided for all worship services. AWANA: Approved Workmen Are Not Ashamed- This is a ministry that helps children learn to know, love, and serve Christ. Activities include Bible teaching, scripture memorization, games, songs, and lots of fun. Children ages 3 years old through 6th grade meet every Sunday night in the Fellowship Hall at 5:30 pm. CHILDREN’S CHOIR: Our purpose for the Children’s Ensemble is to make a “Joyful Noise Unto the Lord”. We welcome all children from ages 3 to 12. We meet on Sunday afternoons just prior to AWANA at 5:00 pm in the Fellowship Hall. We love to sing for the congregation in some of our services, as well as during our Fifth Sunday Singings. Our Children’s Choir is open to all children and as always there are no tryouts so come on out and help us praise the Lord in song. GIRLS IN ACTION: This ministry is for girls in the 1st through the 6th grade. We meet in a classroom attached to the Fellowship Hall every Wednesday night at 6:00 pm. We worship the Lord through Bible study, prayer, games, and crafts with an emphasis in missions. Each week we will explore the work of a missionary around the world, praying for them and promoting the Great Commission to reach the world with the Gospel of Christ. ROYAL AMBASSADORS: This ministry is for boys in the 1st through the 6th grade. We meet in a classroom attached to the Fellowship Hall every Wednesday night at 6:00 pm. We worship the Lord through Bible study, prayer, games, and crafts with an emphasis in missions. Each week we will explore the work of a missionary around the world, praying for them and promoting the Great Commission to reach the world with the Gospel of Christ. MISSION FRIENDS: This ministry is the Wednesday night ministry for children ages 3 up to 1st grade. We meet in a classroom beside the kitchen at 6:00 pm. We worship the Lord through Bible study, prayer, games, and crafts with an emphasis in missions. Each week we will explore the work of a missionary around the world, praying for them and promoting the Great Commission to reach the world with the Gospel of Christ.